The Ameo hasn’t been the hottest selling sub-4 metre sedan out there. In a bid to up the sales numbers, Volkswagen has added another variant to the car – Corporate Edition Highline Plus. Interestingly, this new variant, as the name rightly suggests, is only for corporate employees and entrepreneurs. Volkswagen has introduced this new variant in petrol as well as diesel – at Rs 6.69 lakh and Rs 7.99 lakh respectively. Under the hood though, the Ameo Corporate Edition continues with the same engine options. The petrol iteration is 1.0-litre motor three-cylinder motor that pushes out just 76bhp and 95Nm. Developing 110bhp and 250Nm from a 1.5-litre motor, the diesel is the more spirited option of the two. Volkswagen has really been trying hard to keep up to date with the latest trends in the market with regular updates. 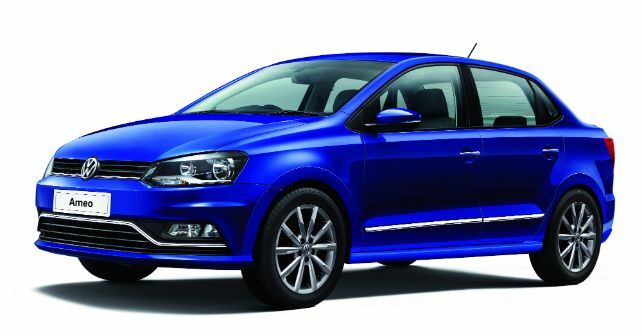 Only last week, the German carmaker introduced the Black and White Edition of the Polo Ameo and the Vento.